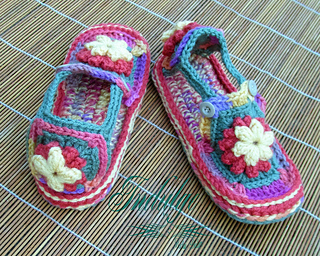 Slipper soles are worked double strand, and are 2 layers thick. They provide wonderful cushion under your tired feet. The open sides allow air to reach your feet, a wonderful thing in the Spring and Summer. Construction is done in pieces, and joined together in a series of steps, allowing the outer sole to be replaced if need be, without having to remake the entire slipper. Each size was tested multiple times, and found to be true to size, if gauge is met. 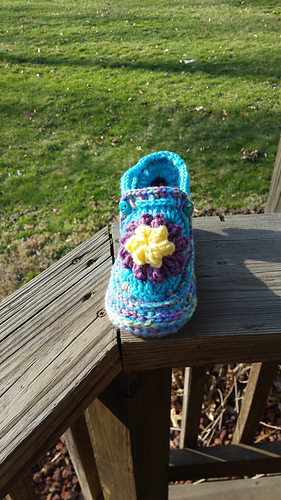 With the yarn used, these slippers can be constructed in such a wide array of colors, and they won’t break the bank.